Ten chunky board books feature essential learning concepts with simple, enriching content and endearing illustrations! 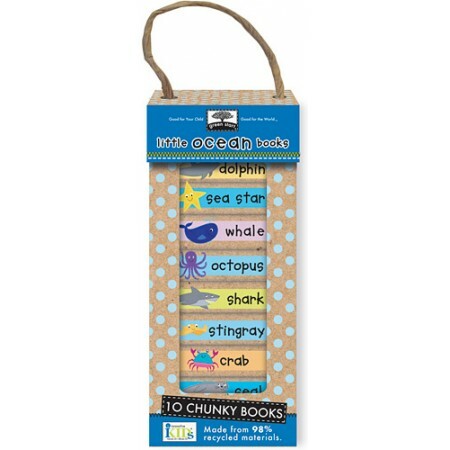 Little ocean book titles include: stingray, dolphin, sea star, whale, octopus, shark, clown fish, crab, sea turtle and seal. Printed on 98% post-consumer recycled materials and use only eco-friendly inks. For ages 2yrs+. Ten chunky board books feature essential learning concepts with simple, enriching content and endearing illustrations! 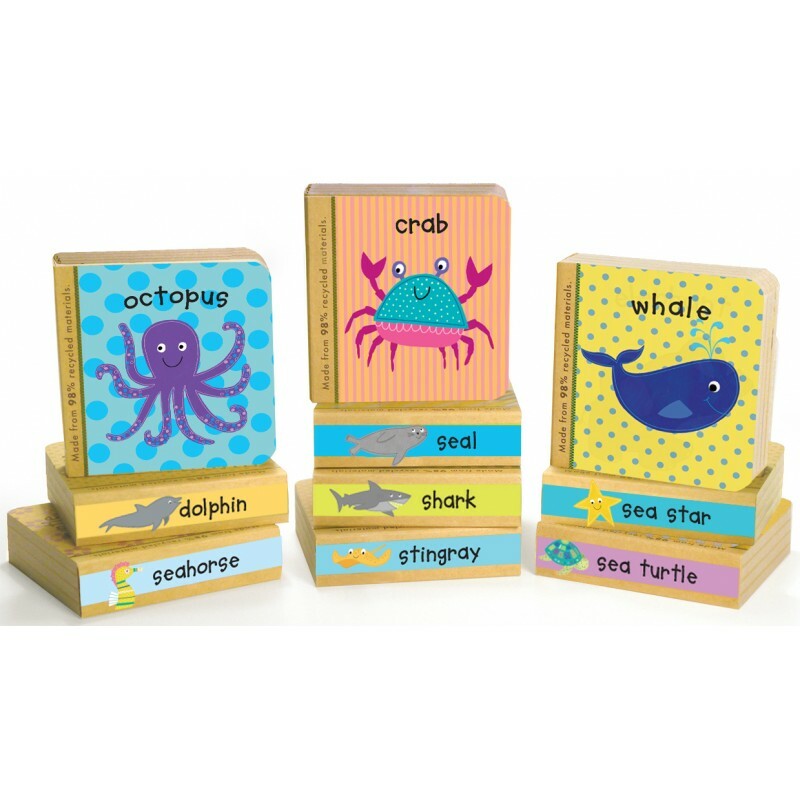 Learn all about the sea animals, then use the books like building blocks. 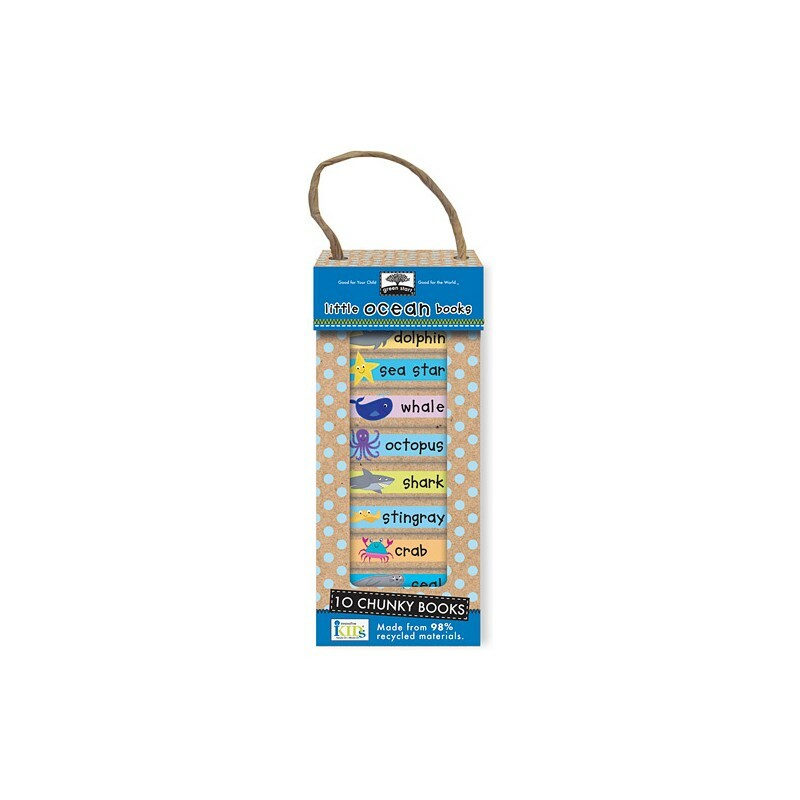 Little ocean book titles include: stingray, dolphin, sea star, whale, octopus, shark, clown fish, crab, sea turtle and seal. For ages 2yrs+. Parents can read the books together with their child and then slip them back into the tote-along tower. 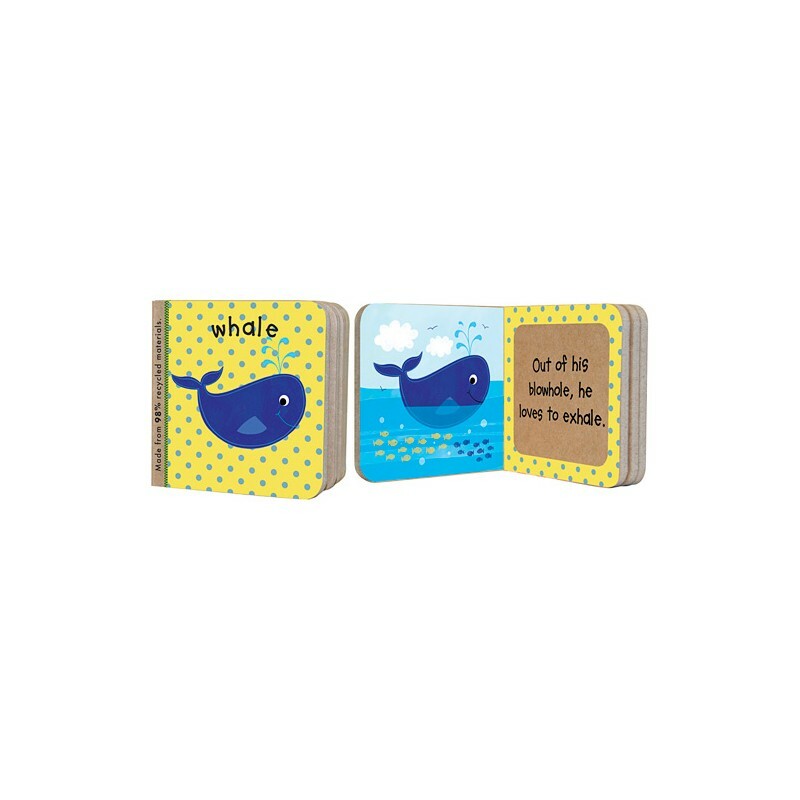 Made from 98% post-consumer recycled materials and vegetable inks, making them good for your child and good for the earth! Browse our other educational toys. I got this as a gift for a friend who told me no more clothes for her babies. So books it is! They're a really nice size, and the stories are educational and adorable. I will get the other series in Green Start for all the upcoming baby birthdays I'll be attending. So good.